Serenity House's executive director says insufficient state reimbursements and restrictions on the number of treatment beds forced the program to end. It’s not just law enforcement that is lamenting the lack of funding for treatment of substance use disorders. 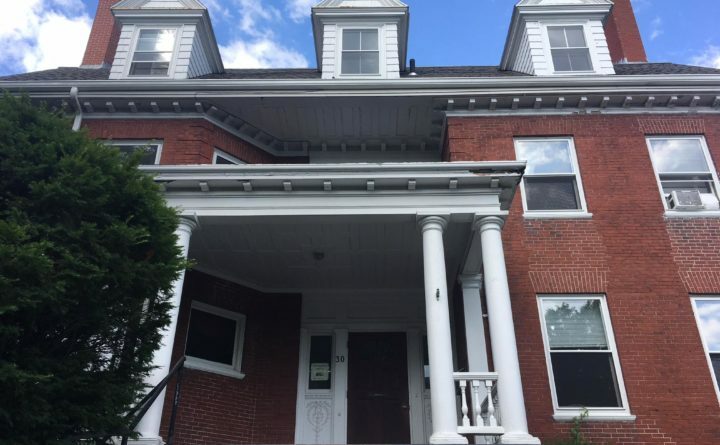 A 16-bed residential treatment center in Portland is ending its program Friday due to fiscal challenges. Gov. Paul LePage once called the center, Serenity House, a model for treatment. But Serenity House’s executive director said insufficient state reimbursements and restrictions on the number of treatment beds forced the program to end. Seven years ago, the governor made an official visit to Serenity House. At the time treatment centers had narrowly avoided proposed state budget cuts. During his visit, LePage hailed Serenity House as providing high quality treatment at a low cost. “It’s a model for a lot of programs,” LePage said at the time. But later that year, the LePage administration decided not to apply for a federal waiver that would have allowed Serenity House to operate 33 beds. The loss of that waiver restricted the residential program to just 16 beds, which Executive Director Bob Dawber said created a fiscal nightmare. “We started to scramble and think, ‘What are we going to do?” Dawber said. Serenity House merged with York County Shelter Programs to save money through shared personnel. But ultimately the residential program could not overcome funding caps and low reimbursement rates, Dawber said. “We were still stuck with the fiscal reality that we were losing close to about $200,000 a year,” he said. That’s why its residential program ends Friday. York County Shelter Programs will continue to use the building for offices. “It’s a significant loss for Portland,” said Bob Fowler, executive director at Milestone Recovery, which operates a detox center in Portland and a residential treatment program in Old Orchard Beach. Fowler said there are a lack of treatment resources at every level of care throughout Maine. Fowler says providers are grappling with low Medicaid reimbursement rates as the demand and cost of care are rising. Struggling to make the funding work and to provide treatment to all who need it, said Lesley Rawlings of Crossroads, which has 18 treatment beds in Portland. She said the state’s failure to expand Medicaid creates additional challenges. Rawlings said Crossroads has to be creative to stay financially afloat, and the center makes it work through a mix of public, private and self-pay clients. Dawber said York County Shelter Programs has also come up with a creative solution to provide treatment, and perhaps help soften the loss of Serenity House’s program. Six weeks ago, it opened the Layman Way Recovery Center in Alfred. Dawber said the new residential treatment center doesn’t rely on federal or state funds. It’s supported at the county and municipal level. That treatment center has 24 beds, but Dawber says that’s still not enough for all of the people who need help.